The second story living area combines the kitchen, living and dining areas in a bright open area with vaulted ceilings. A ½ bath is found on this floor as well as a utility room with a washer and dryer. You have views of Gibson's Ridge, Trappers and Mt. Whetstone. A full size pullout couch in the living room is available to accommodate extra guests. We absolutely loved staying here. We had a family of four and enjoyed everything. The house is in amazing shape, very clean, and within a few minute walk from shops abs restaurants. We will definitely be staying here again. Very much recommended! This is a fairly new property, well constructed and appointed. Beds were comfortable and the location was great with a short walk to the heart of CB. Would definitely stay here again. Because of the new construction, this place is warm even in the dead of winter. The average temperature outside was around 15F and we were always comfortable if not too warm. Wait before you turn on the heat! Has everything you need and some extra. Close to everything. 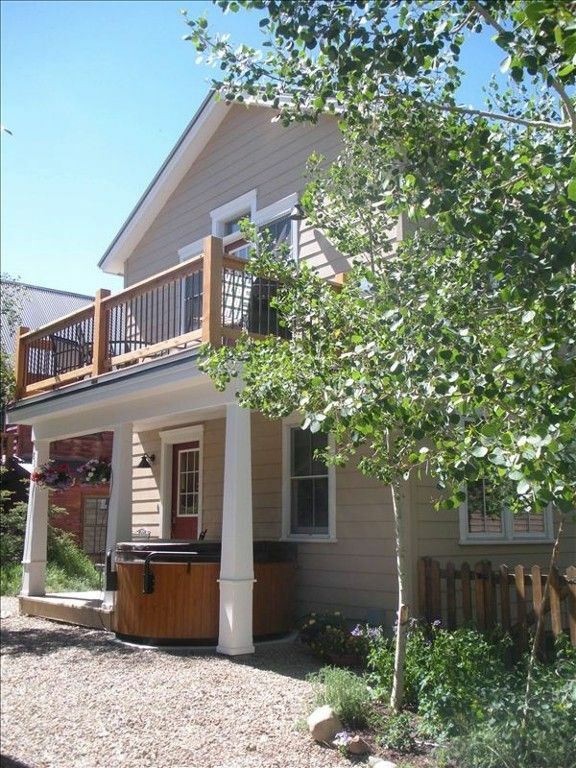 We love Crested Butte and we loved this property. It has MORE than enough room for our family of four. The kitchen we had everything we needed (including a wine bottle opener!). The in floor heating kept the temperature constant in the house despite the low temps outside. The gas fireplace makes it cozy upstairs. The hot tub was great too! We'll be back! Enjoyed the place. Location is great. Very comfortable. Really like that the place had many grocery staples included. Sugar, mustard, oil, etc. Have stayed at other places and you end up having to by the little things but this had it all.